Principals As Writers Model for a School that Everyone Should Write. Principals as writers changes the leadership dynamic; be who you expect to see at your school. Principals need to find ways to ignite our own learning. Our busy lives leave little time to add one more task to our plates. That said, the task of writing is already a part of our daily schedule. Why not principals as writers? Newsletters, emails, and meeting minutes are already typical fare within our duties as administrators. Why not take this skill to the next level and become a lead writer in our building? Whether or not you embrace social media as a person, it is where you’ll find your school families. Being active on Twitter, Facebook, or Instagram is not a replacement for in-real-life time. Rather, it can augment and make more visible our communications. Writing on social media requires brevity. The shorter the text, the more likely it will be read by others. Accompanying a tweet or post with an image or video increases the views of what we share. We don’t have to be original with our message; stating the obvious might be all that is needed. It takes no more than a minute to post artifacts of learning from the classroom. Contrary to some opinions, print is not dead. Being able to hold a handwritten note from a supervisor, colleague, or student makes the affirmation for their work tangible and more real. 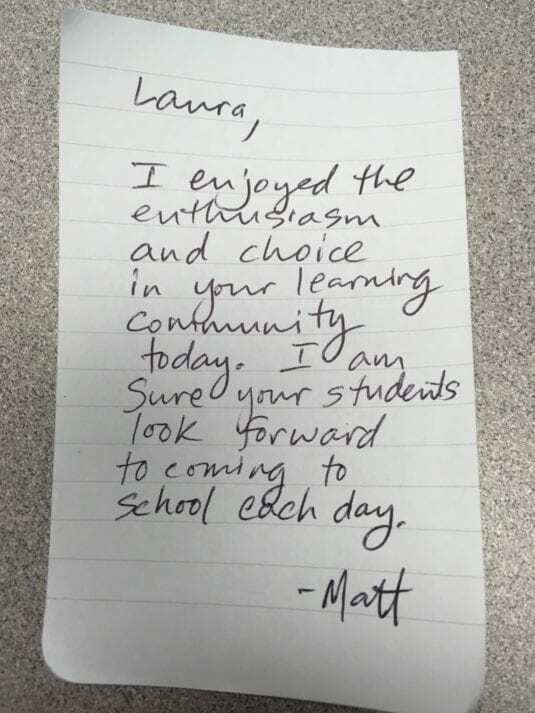 Principals can order personalized stationary and leave notes of appreciation in staff members’ mailboxes. These quiet surprises will make their day. Postcards and greeting cards with the school symbols and messaging are also effective in communicating our thinking. Once, I put a gift certificate for a free pizza in a card for our custodian. He didn’t notice the certificate until three days later after opening the envelope – his attention was on the words of appreciation written down. Once a week, I try to post on our school’s blog. A variety of content is published for the school community. Sometimes I will discover a great piece of writing in the classroom. I’ll ask that student if they would be willing to be recorded reading their writing aloud. This audio file is posted on my blog along with a picture of their work. Other times, I might write about what’s on my mind as a school leader, relating to families as a parent as well as a principal. This transparency through online writing and sharing builds trust and fosters relationships. Sharing about ourselves and our school through writing has many benefits. We lead with our strengths as communicators. Students see us as literate and learning individuals. Teachers and staff attribute our written interactions with positive experiences. The school community gets to know us a little bit better. By writing as a principal, we can craft a more positive and effective identify of ourselves and our organization. Do you have an inspirational, original, funny, or newsworthy story to tell about your work as a principal? We’d love to hear it. 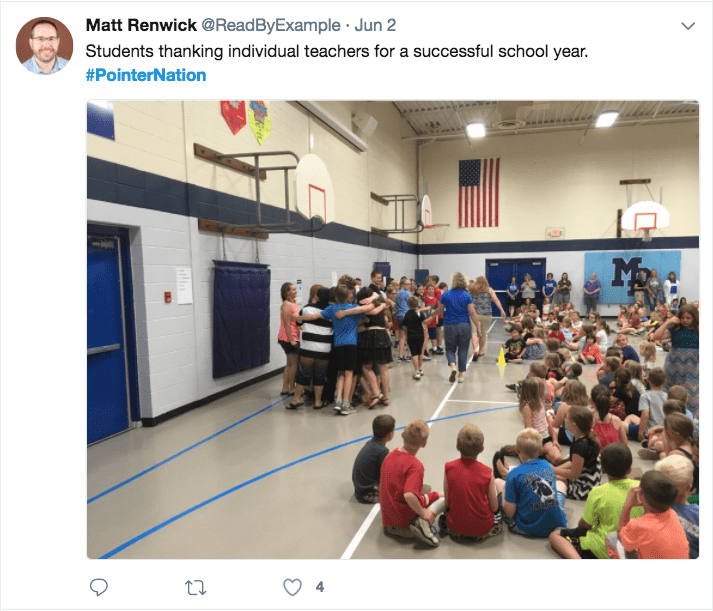 Matt Renwick is an elementary principal in Mineral Point, WI. He writes frequently about literacy, school leadership, and technology. His latest book is Digital Portfolios in the Classroom (ASCD, 2017). You can connect with Matt on Twitter (@ReadByExample) and at his website (mattrenwick.com).